Buyers didn't even wait until the result of the general election to flood back into the London property market. As soon as the exit poll was announced there was panic amongst international buyers as they were guaranteed to have to pay more for a home in London. Estate agents came into work the next day to find deals that had been going through for months and months had exchanged contracts by 9.30am. 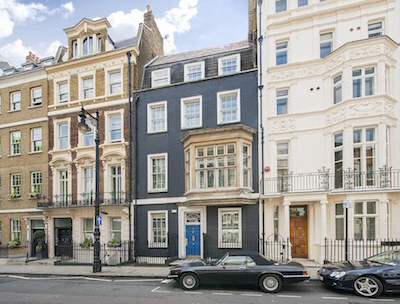 As the threat of a Labour government receded the number of buyers trying to complete sales of London homes were insane according to some agents based in the capital. Buyers had been sitting on their hands and waiting to see if they were going to have to pay a mansion tax along with the raft of other tax raising measures muted by a future Labour government. Buyers looking to buy a property for more than £2m were panic stricken as the news filtered through that a Conservative government was looking more and more likely. Agents reported contracts being exchanged on properties valued from £2m to £60m on the very morning of the election result. Buyers were not taking any chances as it was more than likely that vendors would see this as an opportunity to inflate their asking prices. The buyers would have had themselves to blame as most of them had been stalling to see whether Ed Milliband would grab the keys to Downing Street.